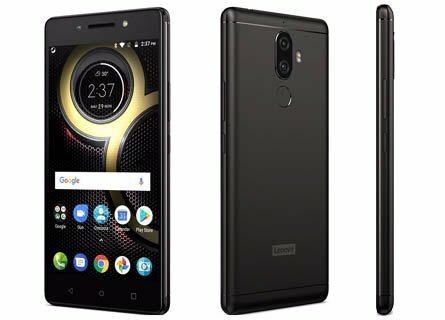 Only those brands will rule the market which can offer the best features for the price tag, Lenovo Launched its one of the Best "K Series" Smartphone Lenovo K8 Note under Affordable Mid-range segment. Here you come to know about the Advantages and Disadvantages of K8 Note. The Key specs of this Smartphone 5.5 inches Full HD Display, Android 7.1.1 (Nougat) OS, MediaTek Helio X23 CPU, Dual 13 MP + 5 MP Primary | 13 MP Secondary Camera, 32/64 GB Internal Storage | 128 GB SD Card | 3/4 GB RAM and 4000 mAh battery. The Design of the Smartphone is compact and ergonomically curved on the corners which is built on the 6000 Series Aluminium. The front side has 2.5D curved Glass that is also protected by the Corning Gorilla Glass 3. Finally it is good decision by Lenovo to include Dual SIM support with Dedicated slot for the MicroSD card on the Left Edge, just below of these slots there is Music Key for playing/ pausing audio or video although you can set other features like opening the camera, taking screenshots, switching the flashlight or opening any particular app. Right edge housing Volume keys and power button. On the bottom, you will find MicroUSB slot and two speaker grille where only one speaker is actually inserted. For the audio output 3.5mm, audio jack is located on the Top of Smartphone. The phone has 5.5 inches Full HD IPS Display with 1080 x 1920p Resolutions which is offering a clean visualization of your graphic content, 401 ppi pixel density is enough to prevent it from any kind of pixelation. In full brightness, you can easily operate the phone even in direct sunlight. To prevent the screen from fingerprint smudges it is also featuring Anti fingerprint coating. Nano-coating splash proof technology protecting it from everyday splashes and spills. To protect the screen from scratches it is covered with Corning Gorilla Glass 3. This is first Lenovo smartphone with Dual rear 13 MegaPixel PureCel Plus sensor + 5 MegaPixel sensor camera. This combination offers DSLR-like depth-of-field effect to take the real-time bokeh effect. In the adequate lighting conditions photos comes out clean and vibrant but under insufficient lighting, the photo quality is not good as expected. There is also 13 MP secondary camera which is really an improvement, this front camera is capable of taking pleasant selfies and The LED flash provided by the company for front camera is sometimes helping in taking brighter photos. The company decided to go with the MediaTek chipset for this smartphone, it packed with MediaTek Helio X23 Deca-core processor clocked at 2.3 GHz. Helio X23 along with 4 GB RAM is capable of delivering a smooth user experience. This 10-core processor can proceed the multitasking as well as some heavy games without any glitches. although there is a trouble using the phone for gaming and taking photos/videos for a long time as it starts heating, we are expecting that it will be resolved by the OTA update soon. So if there is a positive side of 2.3 GHz Deca-core processor, it also has negative side of heating in some cases. It has 4000 mAh battery inside, which according to claim of the company can offer Up to 15 days Active Standby and Up to 24.7 hours talktime over the 4G network. Lenovo K8 Note is the Lenovo's first smartphone to ship with a 15W rapid charger. This charger can fully charge the 4000 mAh battery in about 2 hours. 5.5 inches FHD Display with Corning Gorilla Glass Protection. CPU with 10 cores along with 4 GB RAM offers smooth performance. A reasonably good 4000 mah battery with turbo charging. All metallic unibody 6000 series Aluminium. Dual SIM Support with Dedicated MicroSD card slot. Dolby Atmos support for better 3D sound. Dual Primary Camera setup for in-depth photography. Guaranteed upgradations to Next Android OS. LED flash for the front Camera. Navigation buttons at the front aren't backlit. Relatively heavier with 180 Grams weight. The performance of the primary camera in low-lighting conditions is not up to the mark. No IR blaster and NFC is supported. Box Doesn't include the Headphones. There is no TypeC USB slot. This handset definitely comes up with multiple improvements over its predecessor Lenovo K6 Note, but the competition in the market is stiff. It has 5.5 inches FHD display with Anti fingerprint coating and CGG3 Protection, A Deca-core CPU clocked at 2.3 GHz coupled with 4GB RAM that offers smooth multitasking, Dual rear camera setup for in-depth photography, and 4000 mAh battery for long hours battery backup, These all features are quite decent in given price. You can check another handset in same price category as alternates like Redmi Note 4, Huawei Honor 6X and Lenovo P2. Is there flash in the front? Yes, Lenovo K8 Note has Front LED Flashlight for Secondary Camera. Which is better phone nokia6 or lenovo k8 note. If Camera is your Preference Go for Nokia 6 and if Performance and Features are your Preferences Choose to Lenovo K8 Note. In cons, you said navigation buttons on the front aren't backlit. What does that mean? ?